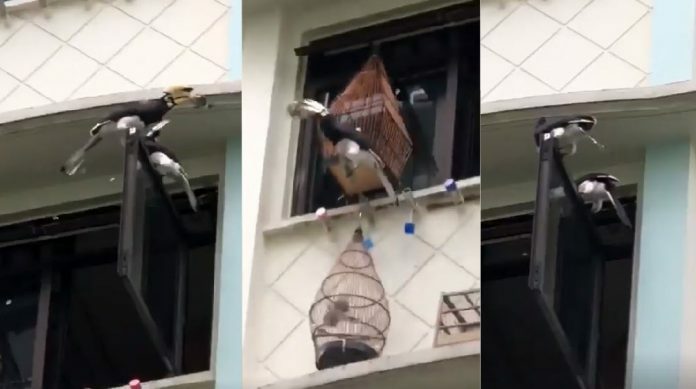 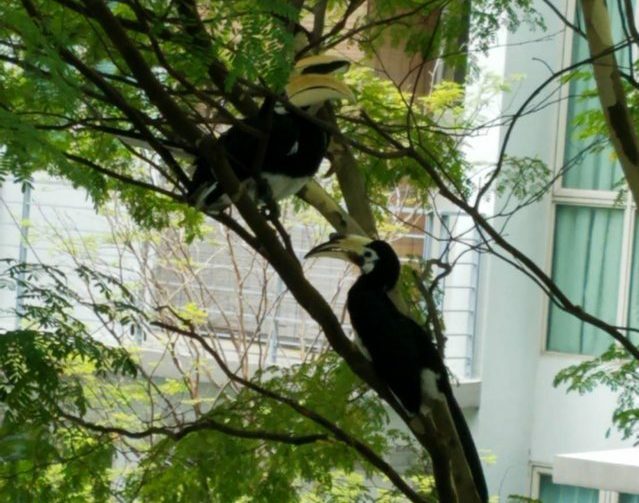 A pair of hornbills were caught on camera tearing apart and consuming a pet bird from a birdcage that hung outside a HDB flat window. 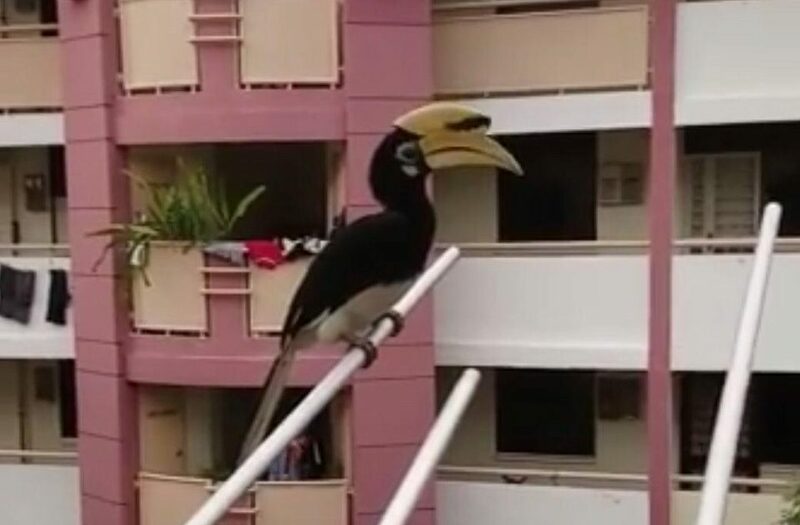 A video posted by Facebook page, Sure Boh Singapore, has already garnered nearly 80,000 views, over 500 reactions, over 300 comments and nearly 1,500 shares since it was posted on social media, this afternoon. 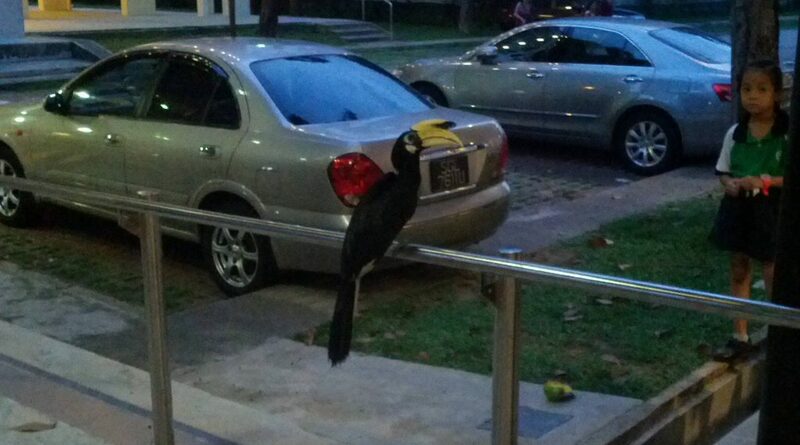 The birds are believed to be Oriental Pied Hornbills, that are native to Singapore and other parts of Southeast Asia. 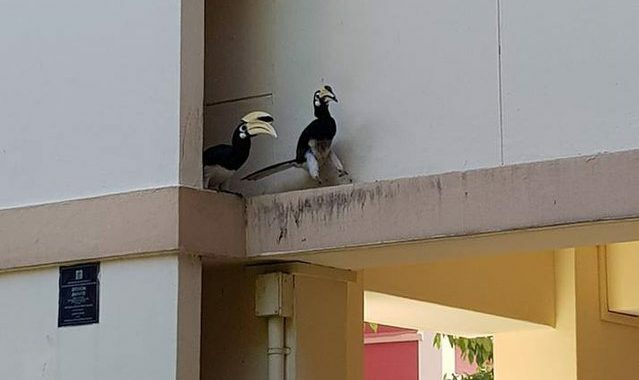 Oriental Pied Hornbills mate for life and are opportunistically carnivorous – meaning they have been known to divert from their usual herbivorous diet to eat small birds and rodents like mice if they prey is small enough.